Release youth from the cage! The laboratory is equipped with carefully selected advanced equipment (Japan): Panasonic incubators, the newest centrifuges for stem cell isolation, a flow cytometer, special software freezers, etc. corresponding to European and International GMP standards. The experience of our specialists allows successfully working with the most complex cultures cultivating the corneal epithelium and bone cells that help our laboratory to achieve the best results. Some of our specialists are among a few of those in the country who can grow cell cultures with unique properties. Cell materials are mandatorily tested by a number of modern methods: microbiological, morphological, molecular-genetic methods, and flow cytofluorometry. Absolute safety of preparations as well as their efficacy is guaranteed. Sterility test controls and cytogenetic testing of cell materials are mandatory. We guarantee safety and efficacy of our products. We have developed a number of innovative techniques and accompanying (complementary) technologies that enable a complex correction of involution-dystrophic skin changes in order to rejuvenate, regenerate, and revitalize the skin. The regenerative potential of these techniques not only allows to rejuvenate the skin, but also to perform effective correction of appearance defects resulting from injuries of various types. They are also used and give tremendous results in preparing for cosmetology procedures and for effective early recovery after plastic surgery. SmartCell cell preparations offer new opportunities today: effective skin repair from damage and injuries, treatment of a number of skin diseases – psoriasis, eczema, neurodermatitis, diabetic, trophic, and other non-healing ulcers and wounds. Created from autologous cells, SmartCell cell preparations have shown excellent results in the treatment of damaged gum tissue, implant/bone grafting areas, the sinus lifting zone, a tooth socket after tooth extraction, the osteosynthesis zone or the zone of an installed membrane, the maxillofacial zones of soft tissues in the course of acute and chronic infectious and inflammatory processes. The innovative solution is effective in the treatment of gingivitis, localized/generalized periodontitis of 1-3 degrees of severity, socket preservation after tooth extraction, implantations, sinus lifting, osteoplastic surgery before implantation, preventing periodontal diseases. SmartCell preparations from autologous mesenchymal stem cells combined with AMC’s innovative technology have helped solve the problem of alopecia naturally and effectively without traditional hair transplantation. The therapy allows the absolutely safe cure of baldness with the restoration of hair follicles, increasing hair density (by 20-29% within six months), reducing hair fragility and split ends, eliminating dandruff, itch, and dryness, promoting hair growth! Due to SmartCell cell preparations, tremendous results have been achieved in the treatment of the most severe eye diseases: glaucoma, macular degeneration, tapetoretinal abiotrophy, etc; diabetic retinopathy, myopia, retinal dystrophy, degenerative corneal lesions, optic nerve atrophy, etc. Also, a breakthrough in the treatment of eye burns and other eye injuries has been achieved. Severe neurodegenerative diseases, which were the final sentence to a patient, can be mitigated by cell therapy: significant improvements have been achieved in the state of patients with Alzheimer’s, Parkinson’s disease, degenerative CNS diseases, brain and spinal injuries, multiple sclerosis, amyotrophic lateral sclerosis, autoimmune diseases, encephalopathy, myopathies, stroke and post-stroke conditions, ischemic diseases. Thanks to state-of-the-art cell technologies, available now, and SmartCell preparations, successful results in the treatment of severe heart diseases have been achieved: treatment of myocardial infarction, coronary heart disease, myocarditis, dilated cardiomyopathy, cardiosclerosis, etc. SmartCell cell preparations allow implementation of a fundamentally new form of therapy for various injuries of muscles, joints, and tendons. Innovative cell technologies have occupied a worthy place in sports medicine. They allow growing new bone tissue, giving a unique chance to avoid disability and to return to normal life without artificial implants. Therapy with SmartCell cell preparations provides the opportunity to regenerate damaged areas of bones, cartilages, ligaments, and tendons in complex fractures, false joints, degenerative changes in joints, bone defects. In many cases, it is possible to stop disease progression, restore the damaged area and avoid joint replacement surgery. 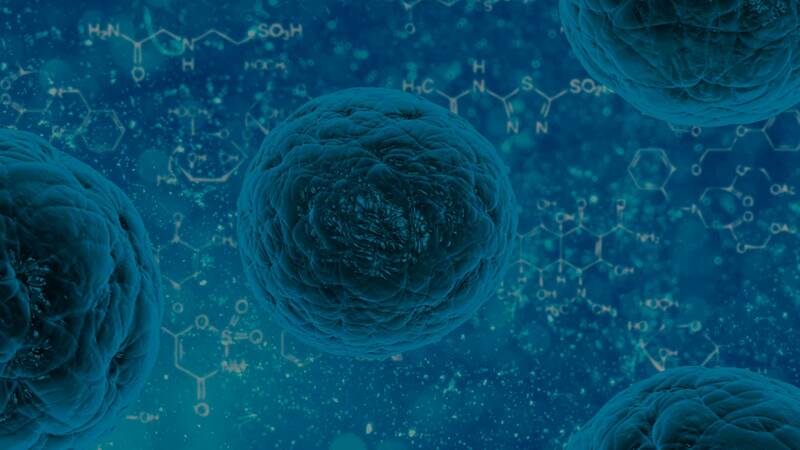 In addition to the significant acceleration of regeneration, cell therapy has an anti-inflammatory effect on the body with notable pain relief. We develop fundamentally new approaches and improve the existing ones, provide tools and technologies to clinics and private specialists for achieving exceptional results in treatments. We are always open for cooperation! We got 9 patents for our unique inventions. We conduct scientific research to create a T-cell vaccine for cancer. Our specialists made presentations at more than 30 international and local conferences and congresses. We have trained more than 450 specialists. Currently, we produce various forms of pharmacological preparations. We have grown fibroblasts, bone tissue cells, corneal epithelium, chondroblasts, osteoblasts, and other cell cultures which have been offered to the largest Ukrainian clinics and to 12 medical institutions abroad. More than 2600 patients have been treated successfully. Small wins lead to a big success: the company engages in scientific work on the implementation of a T-cell vaccine for cancer in clinical practice. Furthermore, we are close to the first successful results in the work on the non-surgical treatment of cataract and glaucoma; we are improving the existing methods of cultivation of melanocyte-keratinocyte cell cocktail for treatment of vitiligo, actively developing innovative cell techniques for treatment of psoriasis, arthritis, arthrosis, and other diseases. Fantasy becomes reality: step by step, we are approaching the growing of human organs and tissues by means of innovative techniques of cell cultivation. Our next step is the creation of a 3D-bioprinting laboratory and launching the reactors for growing living tissues and human organs. Knowledge is the only thing that grows when you share it: we are planning to introduce our own knowledge and the results of our discoveries in education thus improving the qualification of European specialists in using cell technologies. ОBy outgrowing yourself, you can reach perfection: implementing new standards of effective medicine with using cell technologies that will complement existing European and world standards of treating patients. РАСКРОЙТЕ ВЕСЬ ПОТЕНЦИАЛ ВАШЕГО ОРГАНИЗМА. OPEN ALL THE POTENTIAL OF YOUR ORGANISM. At the moment, there is no one in the office. But you can write to us and we will contact you as soon as possible.